Highgate Gallery - Art Exhibition: KYFFIN WILLIAMS: Paper to Palette Knife. Loan exhibition of rarely seen works on paper from the National Library of Wales, including drawings, watercolours and linocuts. Part of the Kyffin 100 centenary celebrations in conjunction with Highgate School. Landscape and portrait painter, draftsman, lecturer, cartoonist and raconteur, Sir Kyffin Williams KBE RA is one of the most famous figures in Welsh art. Highgate Gallery and Highgate School co-host Kyffin 100: Paper to Palette Knife, the largest retrospective of Kyffin’s work outside Wales, here in Highgate where he spent most of his adult life. Kyffin was senior art master at Highgate School from 1944 to 1973, and he also taught evening classes at the HLSI in the very hall displaying this exhibition. On display at Highgate Gallery will be rarely seen drawings, watercolours and linocuts on loan from the National Library of Wales at Aberystwyth. These include plein-air sketches, watercolours, oils of Hampstead Heath, St Joseph’s and Athlone House, portraits of local people as well as Welsh scenes, sketches from his European travels and studies from his expedition to paint the Welsh community in Patagonia. 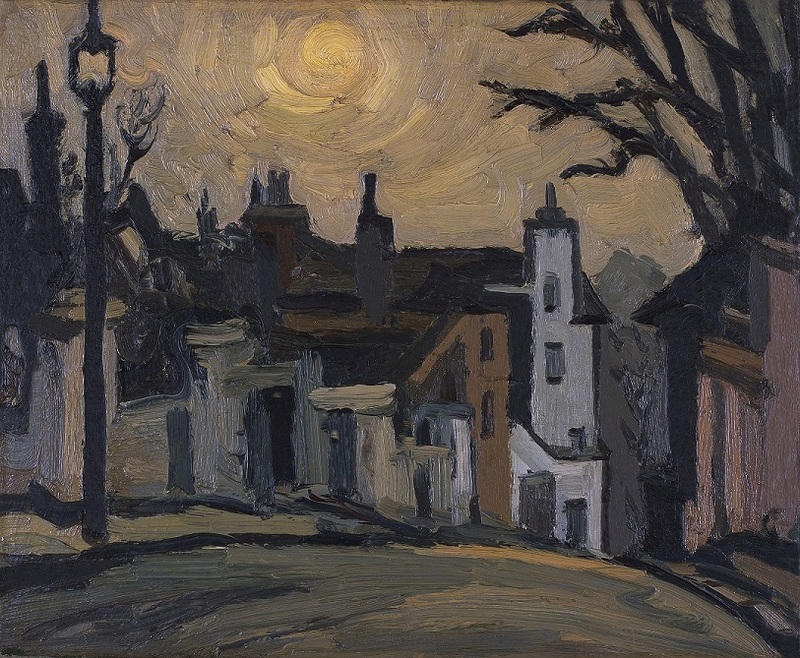 Highgate School Museum will be showing works kindly loaned by private individuals and items borrowed from the National Library of Wales and Oriel Ynys Môn (home of the Kyffin Williams Gallery) alongside its own collection: portraits, including a charming picture of his Bisham Gardens landlady, Miss Josling, and scenes from Wales and abroad, many dating from Kyffin’s London years. Born in 1918, his first solo exhibition in 1948 was at the Colnaghi Gallery. From 1969 to 1976 and again from 1992 he was president of the Royal Cambrian Academy. In 1974 he was elected a Royal Academician. He was created OBE in 1982 for his contribution to the arts and was knighted in 1999. He published two autobiographies Across the Straits (1973) and A Wider Sky (1991). A lifetime of paintings was bequeathed to the National Library of Wales, Aberystwyth, on his death in 2006. Rian Evans, Guardian critic and author of Kyffin Williams: The Light and the Dark (2018), discusses the work of Sir Kyffin Williams KBE RA. 8pm (doors open 7.30pm). Entry £5 on the door (cash or cheque only). To book a place eMail admin@hlsi.net. Brochures and books for sale.